Time has changed and so is the mode of communications. Gone are the days of telephonic conversations instead mobiles have turned out to be the heartbeats of the people of new generation. Be it young achievers or middle age professionals, mobiles keeps on the vibes of the communications in the right track with its proficiency. This small device that is in size of a fist has simply rocked the communication world with its unique features. As days are passing lots of modifications and further inclusions of features are being observed within this mobile. Now the name of the gadget which will first appear in the list of requirements has and has to be mobiles. Life seems to be comes to a halt without this device. 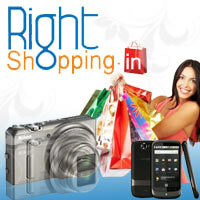 With the increase in the popularity of mobiles in leaps and bounds more and more brands are venturing in this field. With a highly efficient set it can rightly be described as communication is in our grips. Sony is a multinational Japanese company that is best known for its electronic services. The mobile models from Sony too have gained much prominence in recent times. Mobile users prefer to opt for Sony more frequently. Sony has survived in this competition world with lots of expectations from its users. To meet with the level of expectations Sony has brought in many models in the market that are really captivating. For the followers of the brand Sony you can surely go for the several new Sony models. Sony has a great brand value. Sony Xperia Tipo is a single Sim Android versed mobile phone. It comes with Ice cream Sandwich version of Android. The Sony Xperia Tipo is capable of keeping the user connected to the Internet from work, home or on the move. The phone features GPRS and EDGE technology. It is a complete entertainment dose for the users and comes with music player and video player. Audio clarity from the device is enhanced via the inbuilt xLOUD Audio Filter Technology which improves the audio experience for the user. Social networking facilities like Facebook, Twitter and WhatsApp are available in this device so that one can stay connected throughout the day. Also the model comes with a standard battery back up. The immediate version that follows this single Sim Tipo version is the dual Sim Tipo version. Regarding specificities, the only difference that set apart these two models is the dual Sim holding capacity. The smartphone comes with a 3.2-inch display, which is made up of a mineral glass that helps protect the screen from scratches. The Sony Xperia Tipo comes with a decent 3.2-megapixel shooter. The camera on-board offers various modes such as Night scene, Beach and Snow and Sports to click pictures. Basic camera settings are present such as Self-timer, White Balance settings, Metering to aid photography. The clicked pictures can also be Geotagged. The Xperia Tipo also runs on Android Ice cream Sandwich version. It comes with a good processor and thus provides great performance. Sony is promoting the audio playback of this smartphone and that is indeed the highlight of this device. The audio quality is good both on the headphones and the loudspeaker. Good battery life and music playback makes it a complete package. Shortly after the Tipo series comes the turn of Xperia Miro. Xperia Miro is a good attempt from Sony and will surely impress you with its design, camera and screen. The phone comes studded with brilliant features that will soon turn out to be the center of attraction for the youths. It runs on Android 4.0 (Ice Cream Sandwich) and has a 5 Megapixel auto focus camera with LED flash at the back and a VGA front-facing camera. The camera has all smart features like, Geo-tagging, image stabilization, smile and face detection and touch focus. It also has video recording facility. The list of pre-loaded application include: Google Voice Search, Google Talk video chat, Google Mail, Google Calendar, Google Gallery 3D and Google Maps with Street View. Powered with BRAVIA engine it seems to be the better than other in this price range. Sony Xperia U ST25i model is the latest inclusion in the smartphone market courtesy Sony. Apart from smart and trendy appearance it seems to be all set to rock the mobile world with its impressive features. It has a great user friendly service and the users bond well with it. Snap photos fast, film videos in super-sharp HD, and share them with your friends in a flash. Enjoy it all with super quick performance powered by a dual core processor. This is the perfect set for the young generation. It is the time to rock the college campus with this superb model. Sony special Xperia S LT26i Mobile Phone bears the flagship of Sony with the typical features that are supposed to be present in a Sony phone. It performs the role of Walkman and your soul will be absorbed in the music special refreshment. The kind of sound clarity is being offered by this set is simply mind blowing. It comes with a fabulous display that is complemented in the most fantastic way along with BRAVIA engine that offers great viewing experience. It can certainly be a substitute of digital camera along with its 12MP camera with LED flash and 16x digital zoom. You can well imagine about the kind of picture quality you are being offered with. Brilliant multitasking device packed with multi facilities in a single platform. Use it the way you want. An all in all purpose serving device that allows to capture frames, to get tuned up in the beats of peppy numbers and at the same time communicate with your dear ones with a prompt response and services. So many things are combined in a single device turning out it to be the heartbeat of the modern age people. Yet another Sony Xperia model is left out. Let grab a quick view of this model too. Here comes the turn of Sony Xperia Ion LT28h Mobile Phone. It is a premium HD Android smartphone that brings everything in HD experience to a 4.6" screen. Enjoy watching out the latest movies, video and lots more within your small screen entertaining media. It will be the perfect companion in your leisure time. The crystal clear picture quality impresses the users with a great note of satisfaction. The processor of the phone provides appreciable service. It is already loaded with every possible smart feature. Other than Android operating system it also sports a 12 MP camera. It also supports 32GB of external memory. Enjoy every moment of life with this smart phone in hands. Fascinated about Sony? Or again if you are interested for buying a great set from Sony then you definitely need to check out the Xperia models that are available in RightShopping.in for its followers. Here you may check out the details and the prices of these wonderful models. Turn smart with these fantastic models of Sony. Sony has made an attempt to explore the mobile market with the series of Xperia models. For catching the glimpse of these Xperia models and also for detailed information log into www.rightshopping.in and make a quick shopping of these models.